Many yeas ago a reviewer called the latest release by a band I liked “a blatant U2 ripoff.” The members of that band took those words as a compliment. 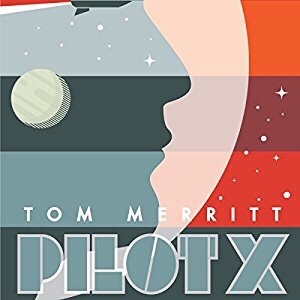 So, in that vein, Tom Merritt’s novel, Pilot X is a blatant Dr. Who ripoff in the best possible way. It’s a timey whimey high stakes adventure full of colorful aliens, a main character whose engaging and charmingly out of his depths, a spaceship with more personality than most human literary characters and enough head spinning, reality altering time travel shenanigans to keep the reader unsure if they are even supposed to be guessing. Merritt balances seriousness and absurdist human at a level at least in the ballpark of Douglas Adams and delivers a clever engaging story to boot. I always enjoy Kevin T. Collins, and you could just tell he was having a lot of fun with this book. From Cyborgs and Alien Hive Minds to officious bureaucrats Collins delivers without ever going cartoonishly over the top but still managing to capture the humor in the text. His pacing is crisp, building the tension, keeping the listening engaged in the story. If you want so good old fashion science fiction fun, you can’t really do better than Pilot X.
Brett Battles seems to enjoy writing Thrillers, no matter the subgenre. 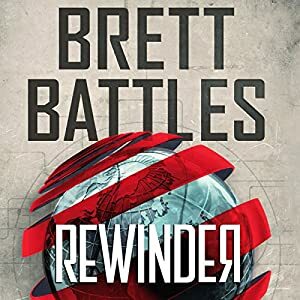 In his latest standalone thriller, Rewinder, Battles gives time travel a go with solid results. Rewinder reads like a cross between Poul Anderson’s Time Patrol stories, and Steven Jay Gould’s Jumper series. It’s not a particularly groundbreaking entry into the fray of time travel adventure, in fact, if anything, Battles quickly infuses the story with the feel of a pair of comfortable jeans. Instead of trying to create some clever new way to spin the genre, he puts his own spin onto time honored tropes. Like Jumper, Rewinder can work equally well as a Young Adult or Adult novel. While Battles main character Denny Younger is, well, younger, he doesn’t instantly fall into the character trapping of many young adult protagonist. Battles offers some interesting sociological insights, yet does it as a plot point, where his goal isn’t social commentary but just telling a damn good story. Battles creates a fast paced, exciting tale, with plenty of twists, that fans of old school time travel adventure novels will find perfect for an afternoon reading. Narrating is more than just having a pleasant voice, and the ability to do character voices. A good narrator finds the right feel for a novel, and pushes the narrative in the right direction. Vikas Adams gives a strong textured performance, with a crisp reading that gives homage to the pulp nature of the tale. I have always admired Adams ability to handle both adult and children characters smoothly, something that isn’t really easy to do. I like that Adams gave Denny a youthful feel, yet still acknowledged that he was an adult doing an adult job. He captures the right blend of coming of age naivete, with a hardened edge of young man who grew up in the fringes of his society. Rewinder isn’t going to blow your mind, or have you rethink everything you knew about time travel, instead it will give you 8 hours of solid entertainment. Quick Thoughts: The Company of the Dead was a tough one for me. I could have probably spent a thousand words writing about things I loved about the book, and another thousand complaining about the things I hated. 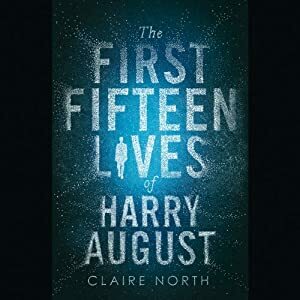 In the end, it’s a wonderful tale of alternate history and time travel set against the backdrop of The Titanic bookended around an overly long, overly elaborate and often boring and confusing mess of an action novel. You would think a book involving The Titanic, Roswell, a time traveler named Wells, a Kennedy with an aim to establish his own personal Camelot, an alternate history where The United States was broken up and partially ruled by Japan, where the German Empire remains strong and the world is on the edge of nuclear annihilation would be so full of awesome it couldn’t possible be contained within a 15 hour audiobook, right? Well, probably so. The Company of the Dead is full of lots of awesome. Lots. Sadly, it’s also full of overly elaborate scenes involving a cross country chase, mystical Indians, heavy handed world building and intricately detailed alternate history that fills up a production of over 24 hours. Honestly, I love long books. I used to dismiss books that came in under 300 pages. I used to evaluate a book based on the size of its type print, yet while The Company of the Dead had a wonderful start and a brilliant finish. The 20 hours between dragged on way, way too much. 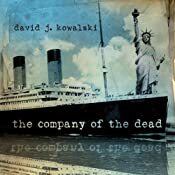 Daniel Kowalski takes an ambitious plot, and manages to pull off a book that both thrills and bores. As a fan of alternate history novels, I have a lot of respect for what he does here. Much of Alternate history revolves around the "What if." An author will take one moment in time, and change it just slightly, and allow the ball to roll off course in fascinating ways. Here, a lone man, lost in his own past, decides to attempt to make the world a better place. One of his goals is to prevent the sinking of the Titanic. Sadly, despite his plans, he only alters its fate by a few hours. His attempts allow one man to live, industrialist and war hero John Astor, who goes on to become President. He uses his influence to keep the US out of The Great War, allowing the German Empire and the Japanese Empire to become global superpowers. After multiple wars with Mexico, Texas leads another succession from the Union, giving rise to The Confederate States of America. Now, Joe Kennedy, agent for the Confederate Bureau of Investigation, armed with the diary of the time traveler Wells found in the wreckage of Titanic, is attempting to set the course of the world right. Sounds complicated, right? Well it is. Yet, the alternate history, the time traveling angle, the look at the political, social and technological changes weren’t the issue for this novel. Kowalski actually creates a fascinating world, full of intriguing concepts spanning the historical, scientific and metaphysical. The problem for me was everything else. Kowalski tacks on an internal power struggle within the CBI, a complicated chase across the country where Kennedy is being hunted by his former lover and the first women to achieve agent status, and honestly, I got totally lost. There were times where I wasn’t even sure who just died, which characters were where and why people were shooting, surrounding, blowing up and threatening. Allegiances changed faster than a con man playing three card Monte. Kennedy had side deals going with the Japanese Germans, British, shamanistic Indians, Negroes, The Union, mobsters, and I think maybe even a Samurai or two. For me, it all meshed into an indescribable miasma of concepts and action, and if I wasn’t so intrigued by where it was all going, I may have given up on it. What kept me in the game were the fascinating concepts he was playing with. I have to admit, I am a sucker for the philosophy of time travel. Kowalski asks so many intriguing questions. If you knew that the time stream you where living in wasn’t the true time stream, how would affect your decisions? Could the horrors that wee coming be due your actions based on your knowledge? Just how much do little decisions and innocuous changes affect reality? Kowalski takes on these concepts and so many more. In reality, I should have loved this book. If the book was a bit leaner, with a more coherent plot in the thick of the novel, I could easily see this becoming one of my favorite all time alternate history novels. Kowalski definitely knows how to create characters that you become invested in. This was one of the reasons I was so disconcerted when I got lost within the plot, losing touch with characters that I actually cared about within the rapidly moving, and ever shifting framework of the tale. The Company of the Dead was a tough one for me. I could have probably spent a thousand words writing about things I loved about the book, and another thousand complaining about the things I hated. 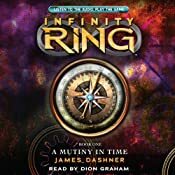 In the end, it’s a wonderful tale of alternate history and time travel set against the backdrop of The Titanic bookended around an overly long, overly elaborate and often boring and confusing mess of an action novel. So, I am about to go on an ugly American rant. Being an ugly American, I feel entitled. Why when an author is not American but British or Australian or some denizen of the Empire which the sun never set on, do we tend to get a British narrator for a novel set mostly in America with the majority of the characters being American? I don’t believe that American pronunciations are inherently better, but if a book is set in America with American characters, I would like a narrator that pronounces things like an American. There is something disconcerting to me to hear a man with a deep southern draw say "cu-PILL-a-ree" instead of CAP-ill-air-ee." I understand that Peter Marinker is a respected voice and stage actor but his narration didn’t work for me and for a nearly 25 hour production, I would have loved a narrator that made me want to listen, and not one that I continued listening despite of. I hate giving the "I just didn’t like their voice" kind of reviews. I try to give well reasoned explanations for why I didn’t like a narrator. Yet, between the use of British pronunciations in American accents, an awful lot of mouth sounds, minimal character differentiation in a novel with a lot of characters and just an overall unengaging performance, "I didn’t like their voice" is about the best I can do. 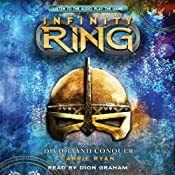 My issues with the narration was enough to get me to wonder how many of my issues with the novel itself were due to the writing, or whether I would have actually been more engaged with a dfferent narrator. Sadly, that’s a question that can’t be answered. Quick Thoughts: The Shining Girl is a novel that never allows you to get comfortable. It shifts and blends, leaving you feeling disconcerted and disturbed but utterly enthralled. Beukes combines the elements of paranormal time travel and crime fiction in a way that lifts this novel about the typical, making it truly special. 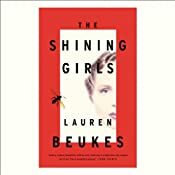 I have to admit, there was a small part of me that was hesitant about Lauren Beukes latest novel, The Shining Girls. Mostly I was excited. Very, very excited. For a while it was my must have novel of the summer. Let’s face it, this one falls right into my wheelhouse, a time traveling serial killer. I love time travel novels. I love crime fiction. And I especially love novels that blend my favorite subgenres together into something unique. The Shining Girls was like a gift from some deity saying “Hey Bob, here’s a book you will love.” Yet, part of me was still worried. There was one lingering aspect of the novel that had me concerned, the setting. I have nothing against Chicago. In fact, I think it’s one of the best settings for a crime fiction novel, full of political corruption, superstitions and colorful characters. Yet, my first experience with Lauren Beukes was her wonderful Johannesburg set Zoo City. One of my favorite aspects of Zoo City was a look into a city, although quite changed by Beukes magical shift, that I have rarely encountered in fiction. It offered something unique, beyond Beukes fascinating mythology, to see it play out in a setting I have known existed in mostly a theoretical level. When I learned Beukes was setting her next novel in Chicago, I was like “…but… but… Chicago isn’t in South Africa. I have read tons of stories that took place in Chicago!” I was worried we would be given a touristy glimpse of Chicago where we got to experience the Cubbies, and Ditka jokes and oh my gosh… they love Polish sausage. Yet, I guess I shouldn’t have worried. Sure, I missed the Johannesburg setting but Beukes time shifting trip through Chi-town offered a unique glimpse at this city that I have rarely encountered before. Harper Curtis is a brutal killer from the past, who finds a strange house that opens him up to strange future worlds, where he encounters girls who shine only for him. He knows the house wants him to kill these girls, he just doesn’t know why but once he kills them all, this should be revealed. Kirby Mazrachi survived a brutal attack that the police believe was random, but she is sure is the work of a serial killer. Together with a former homicide reporter now covering the Cubs, she pieces together a series of brutal murders that could lead her to her attacker. The thing that I love about the Shining Girls is how both aspects of the novel work so well on their own. Strip away the strange paranormal house and time traveling elements, and you have a solid Crime Fiction novel on par with Michael Connelly’s The Poet or Warren Ellis’s Gun Machine. Strip away the crime fiction elements, and you have a seriously spooky ghost house story on par with such dark fantasists and Stephen King or Robert McCammon. It’s how Beukes layers these two elements together that elevates The Shining Girl beyond solid examples of these genres, to something brilliant and utterly beyond simple classification. Beukes has it set up so not even her characters know what kind of book they are in until it all crashes together in a breathtaking finale. Unlike most Serial Killer tales, this isn’t some Cat-and-Mouse game between a brilliant serial killer and those attempting to stop him. Instead, it’s almost as the players are working on their own puzzles, dealing with their own pasts, and putting together their pieces towards goals that eventually force them to the inevitable conflict. It’s not that there isn’t an procedural investigatory arc, there is and it’s quite strong in it’s own right, yet, Kirby and Dan don’t really know what they are looking for, so it’s like that are trying to make a picture out of pieces from many different puzzle boxes. Beukes doesn’t spend a lot of time setting up the mythology of the eerie house that sends serial Killer Harper on his time tripping spree. Instead she tickles around the edges of the paranormal, having the house be a tool not even the wielder understands. He knows he has a mission, and he understands that the girls are shining and must be extinguished, yet even he doesn’t truly understand the whys and hows. In many ways, he is also part victim, while a sadistic and brutal one. It‘s hard to say how much of his mission came from The House, and how much he becomes The House‘s mission. This sort of fluidity may be frustrating to some readers who want solid answers, but I found it to add to the disconcerting charm of the novel. The Shining Girl also reeks of authenticity. The city of Chicago comes alive in a way that you can’t find on tourist guides and her characters just feel real. Even the murder scenes are full of visceral imagery and meticulous detail that gives you insight into both the victim and the perpetrator. The Shining Girl is a novel that never allows you to get comfortable. It shifts and blends, leaving you feeling disconcerted and disturbed but utterly enthralled. Beukes combines the elements of paranormal time travel and crime fiction in a way that lifts this novel about the typical, making it truly special. The Shining Girl is a novel I will be thinking about for a long time, too of tem late at night as the darkness begins to creep into my dreams. Hachette Audio has really made a name for itself by putting together some of the best multinarrator productions in the industry. In The Shining Girls, Hachette has brought together some of the best narrators in the business, and combined them with some new narrators with lots of future potential. All the narrators gave strong, solid performances. Khristine Hvam, as Kirby, is stellar as usual, and Peter Ganim deftly captures the charming yet unstable Harper Curtis. 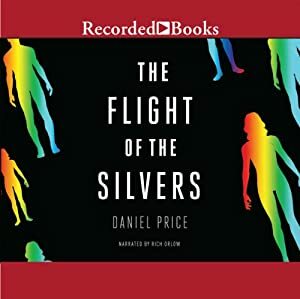 Jay Snyder has a brilliant, crisp almost perfect voice, and the work is so on point that you never really feel any disconnect when the narrators shift. Yet, I think this was also my problem with the audiobook version of The Shining Girls. At times, particularly with Snyder’s work, it seemed all too perfect. Jay Snyder has the vocal equivalent to movie star looks, and I would have loved to see a bit more flavor and grit in his performance of down and out reporter Dan Velasquez. Dan was ethnically Hispanic, and while I don’t expect him to sound like he just came up from Tijuana, I would have liked just a little Hispanic edge in his voice. 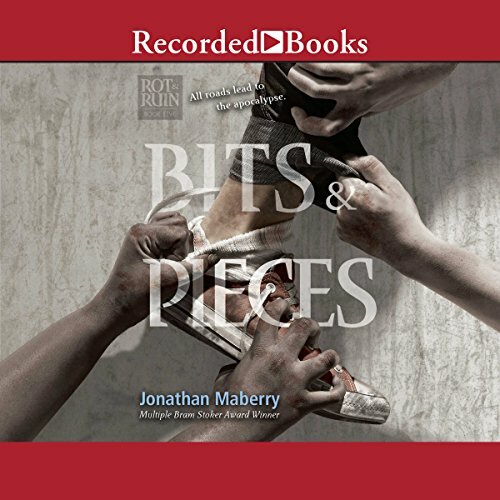 I though the work of the smaller roles, particularly that of Joshua Boone and Jenna Hellmuth added just the right counterpoint to the other narrators. Dani Cervone was also strong, but her voice was a bit close to Hvams, which didn’t allow it to stand out as much as the work of the other two. Overall, the audio production was excellent. It was well paced, sounded crisp and in the end served the story well. Any issue I had came down ultimately to listener preference.